Good morning. It's Thursday, March 28. 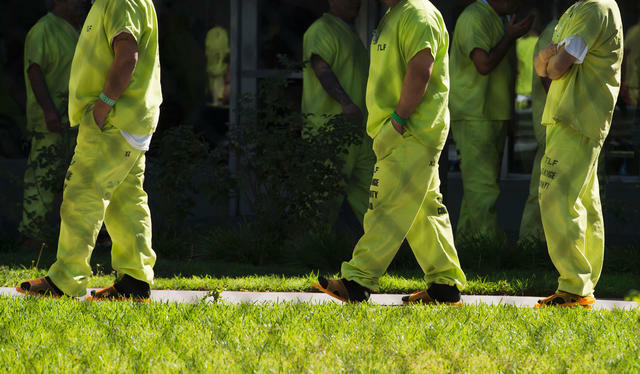 • Californians' attitudes shift on capital punishment. • A couple works charter school regulations to gain riches. 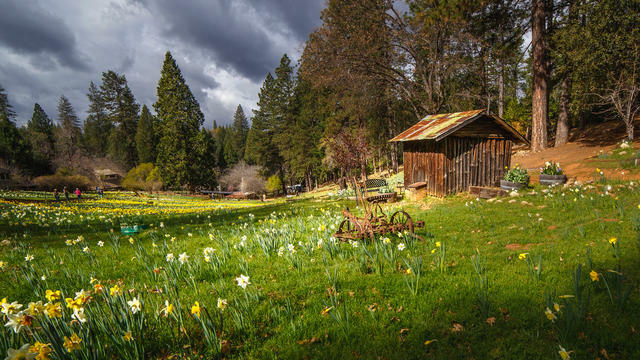 • And a land of daffodils comes to life in Amador County. People lined up at a DMV office in Los Angeles. 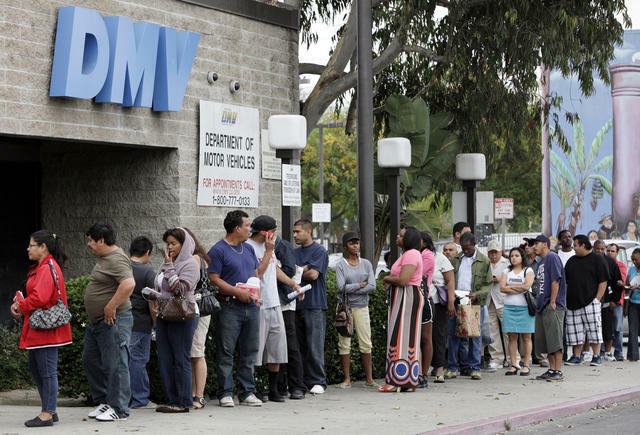 Why have lines been agonizingly long at the California DMV? Auditors cited a "reactive culture" at the agency and operations that haven't been updated in decades. A couple examples: the computer system relies on a programming language from the 1950s, and local DMV offices are required to file nearly 200 reports a month. The 2026 California governor's race is already shaping up — and so far it's an all-women contest. At a forum this week, Lt. Gov. Eleni Kounalakis, State Treasurer Fiona Ma, and California Controller Betty T. Yee all said they would run for the state's top office. California has never had a female governor. Lori Loughlin and her daughter, Olivia Jade Giannulli, in Beverly Hills last year. "Mostly my parents wanted me to go because both of them didn't go to college." That was Olivia Jade Giannulli, the 19-year-old daughter of actress Lori Loughlin and designer Mossimo Giannulli, talking about her decision to go to USC. A ticketing site determined the most popular baseball teams in every county by analyzing shoppers' behavior. 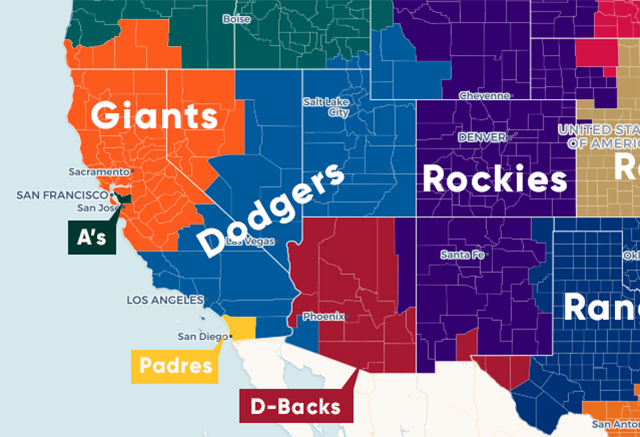 California has five Major League Baseball teams, but just one — the Giants — dominated the fandom race, capturing 45 out of 58 counties. Most glaring: the Angels earned no love as even Orange County favored the Dodgers. The A's didn't fare much better. This image of Wakamatsu settlers, circa 1870, is believed to show Matsugoro Ofuji, a carpenter, and his family. 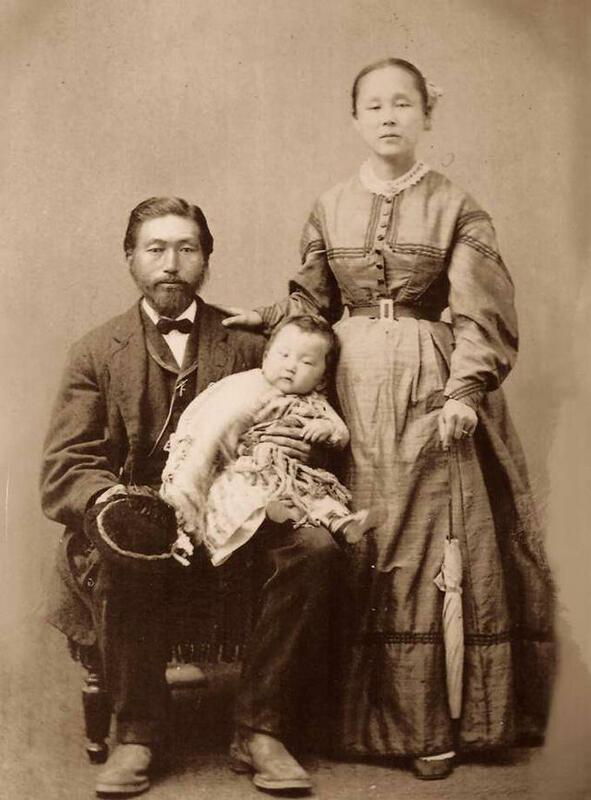 It was on this week in 1869 that America's first Japanese settlers landed in San Francisco. In flight from an uprising against Japan's shogun, 22 refugees established the Wakamatsu settlement in the Northern Sierra foothills, where they cultivated tea and silk. Local newspapers reported with fascination on the immigrants' dignified character. The Wakamatsu colony, however, collapsed within two years as drought and mining pollutants doomed its crops. Some members returned to Japan and others dispersed within California. "Most Japanese believe [the colony] was the Plymouth Rock of Japanese immigration," a historian told the S.F. Chronicle. "It really opened the door to a much larger influx from Japan." Here's a fascinating account of the Wakamatsu settlement at Rafu Shimpo, and a collection of old photos of its members at the El Dorado Arts Council. Homelessness in San Francisco has remained steady despite years of efforts to curb it. San Francisco wants to build a shelter on an Embarcadero parking lot to help address the city's stubborn homeless crisis — so nearby residents have raised more than $40,000 for a legal fight to stop it. Supporters of the project expressed frustration. "I'm tired of people hating the sight of homelessness more than they hate the fact that people are actually homeless," a housing advocate said. San Jose is expanding an anti-homelessness program that embraces the idea of early intervention. It provides money to vulnerable families before they slip into homelessness, which can lead to cascading hardships. Without prevention the city risked "running in place," Mayor Sam Liccardo said. "Our economy is pushing so many people out the doors," he added. 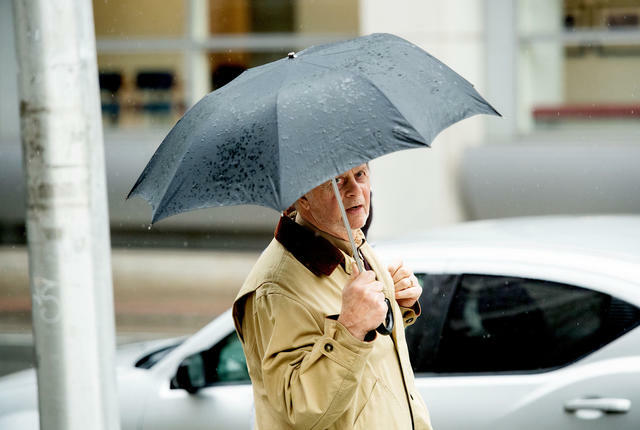 Edwin Hardeman, 70, sued the agribusiness giant Monsanto. A federal jury ordered Monsanto to pay $80 million to a Sonoma County man whose cancer was found to be linked to the company's weedkiller. The plaintiff, Edwin Hardeman, used Roundup to control weeds and poison oak on his property for 26 years. Monsanto, which denies that Roundup can cause cancer, plans to appeal. A view of Daffodil Hill a few years ago. If Antelope Valley is the capital of the California poppy, Amador County is the land of daffodil. Every spring, thousands of people descend on a private Gold Rush-era ranch known as Daffodil Hill in the tiny town of Volcano. On a good year, the daffodils erupt with about 300,000 white and yellow blooms. It opens this weekend. Immigration detainees held at an Orange County jail. The Orange County Sheriff's Department is ending its contract to house immigration detainees for federal authorities. The move was necessary to bolster services for inmates with mental health issues and drug addiction, a spokeswoman said. "This is not in response to the political rhetoric that is out there," she added. "This is absolutely a business decision." O.C. Register | A.P. An L.A. Times investigation found that a wealthy Beverly Hills couple made millions through self-dealing at their charter schools — while contributing generously to officials responsible for regulating the schools. "How the Parkers have stayed in business, surviving years of allegations of financial and academic wrongdoing, illustrates glaring flaws in the way California oversees its growing number of charter schools," the Times wrote. Police officers responded to the Church of Scientology of Inglewood on Wednesday. 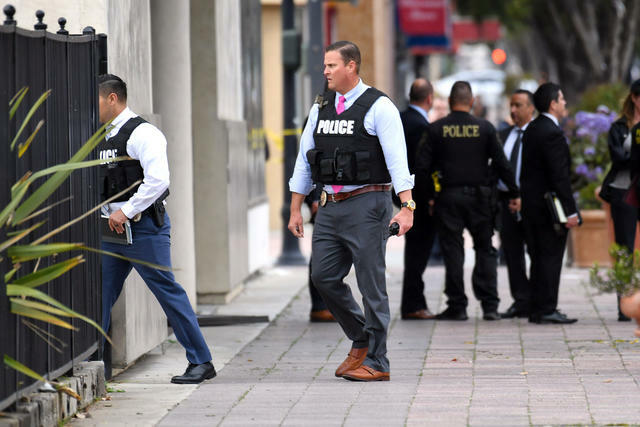 Two Inglewood police officers were shot after responding to reports of a man with a sword entering the Church of Scientology of Inglewood. The suspect was fatally shot. Details were murky. The authorities didn't identify the suspect, and they provided no details about what he was doing or whether he had a gun. 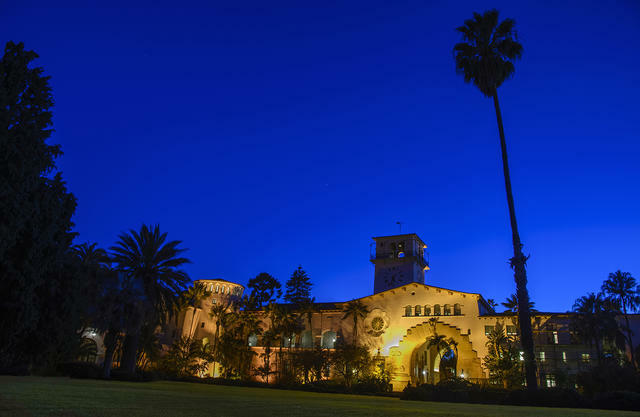 The Santa Barbara County Courthouse has been designated as a national historic landmark. If you have a date with the judge, there are few venues more enchanting than the Santa Barbara County Courthouse. Completed in 1929 and filling an entire city block, it was hailed by architect Charles Willard Moore as the "grandest Spanish Colonial Revival structure ever built." The courthouse was included in a photo tour of Santa Barbara's prettiest spots by USA Today. 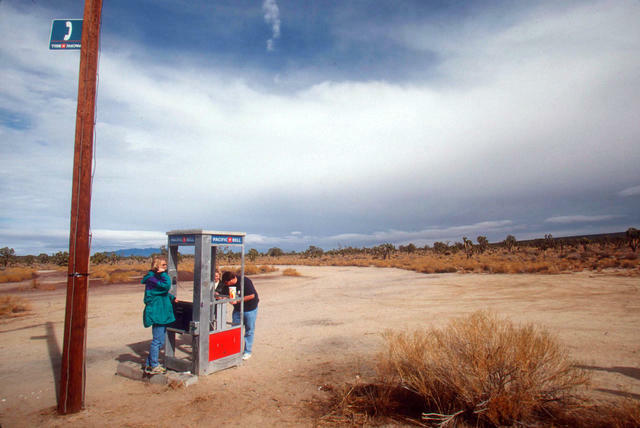 Travelers from Arkansas who heard about the Mojave phone booth chatted on the line in 1999. There was once a phone booth miles from anywhere in the Mojave Desert that had to be demolished because it became internet famous. Installed in 1948 to serve local miners, the booth stood largely unnoticed for decades until 1997 when an Arizona man, Godfrey Daniels, read about its existence and became enthralled. He dialed the number over and over, imagining its ring echoing into nothingness. Then one day, improbably, there was an answer: a cinder miner who lived off the grid and humored Daniels with some small talk. Daniels later created a webpage for the phone booth, including its number (760-733-9969), which got widespread attention. Suddenly, travelers were making pilgrimages into the desert to answer the line and chat with strangers, who called constantly. The booth's celebrity, however, spelled its undoing. The National Park Service deemed the phone pilgrims a nuisance and removed the booth in 2000. Years later, someone acquired the old number and set it up as a conference line. You can still dial in and find people waiting on the other end. Listen and subscribe to the California Sun Podcast, conversations with the Golden State's most fascinating personalities. Coming up tomorrow: S.F. Chronicle Editor in Chief Audrey Cooper.